For the first time since 2014-15 our District 5610 has a realistic chance to increase our membership. However, to get over the finish line we need help from every club in the district. We are announcing a FUN membership campaign. Our goal for new members is a very reachable goal. For example, if smaller clubs would add one new member and medium and large clubs would add 2 (or more) members, our goal will be achieved! 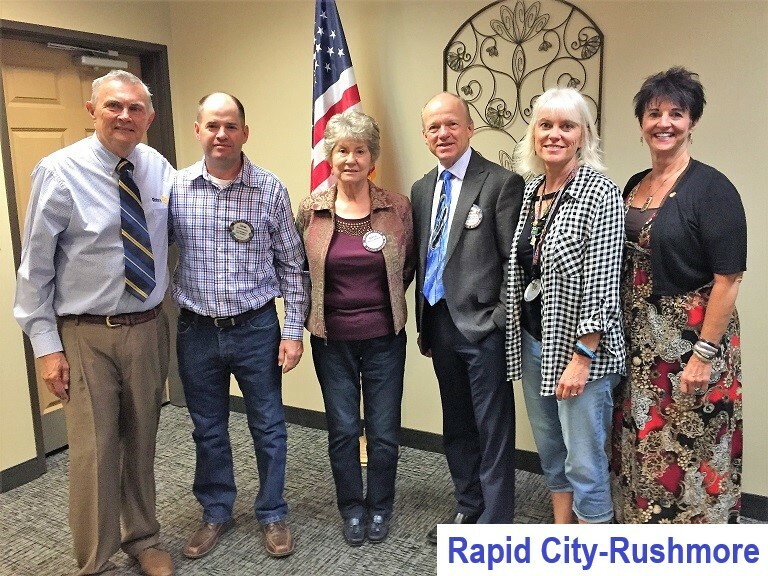 Our District Membership Chair has talked about this more eloquently than I, but every one of our clubs can identify one or two folks in your community who would be easy to recruit into Rotary. We refer to these membership candidates as “low hanging fruit” – folks who shouldn’t need any arm-twisting or convincing. We just need to ask them! We will also be announcing super prizes for clubs who recruit new members between now and June 30. For every new member recruited by your club, your club will receive a chance to win one of the prizes. PLEASE, PLEASE, PLEASE, help us get over the hump and show a membership gain......and let’s have fun doing it! 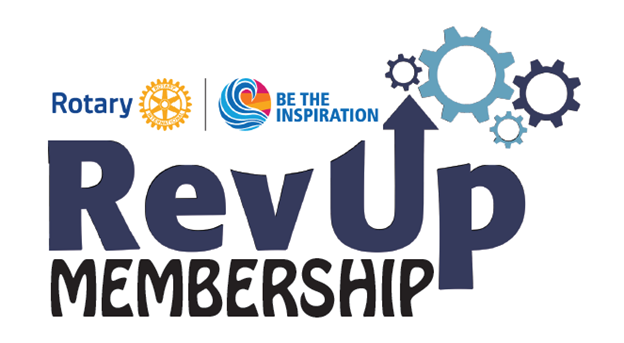 Hello from Rotary District 5610 of Rotary International - the largest service organization in the world. 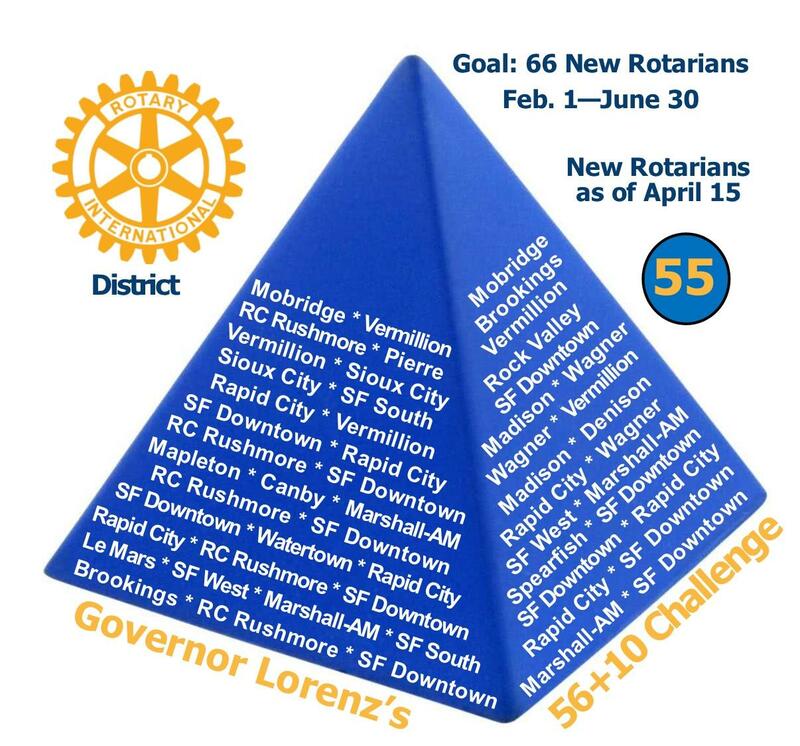 District 5610 includes 41 Rotary clubs in South Dakota, northwest Iowa, southwest Minnesota and northeast Nebraska. Rotary Youth Leadership Awards (RYLA) is a leadership training program sponsored by Rotary International that promotes, encourages and rewards outstanding young people who want to become better leaders. 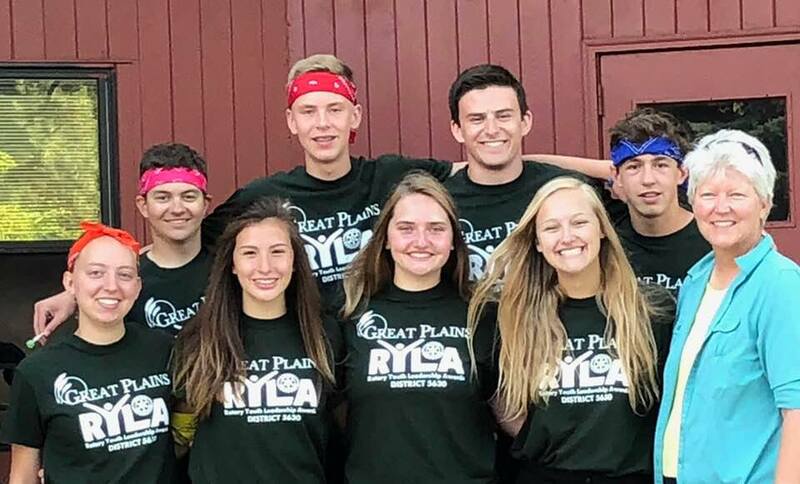 RYLA consists of an all-expense paid five-day conference that brings together a group of young men and women from Nebraska, South Dakota, Minnesota and Iowa to share ideas about becoming better leaders. Action-packed activities like problem solving games, challenge courses, group discussions and teambuilding activities help participants build confidence and leadership skills. Eligibility: Students who are currently high school sophomores or juniors. Cost: No cost to participating students. Transportation to and from RYLA is included. 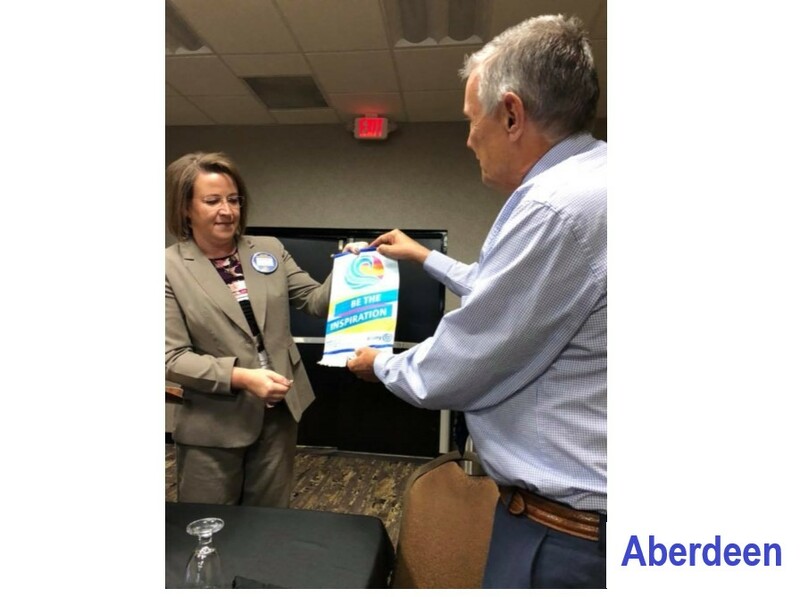 Dear Presidents and Presidents-Elect: Under the leadership of Pierre Rotarian Larry Lyngstad, the District 5610 Bylaws Committee presents these proposed revised bylaws for your consideration. 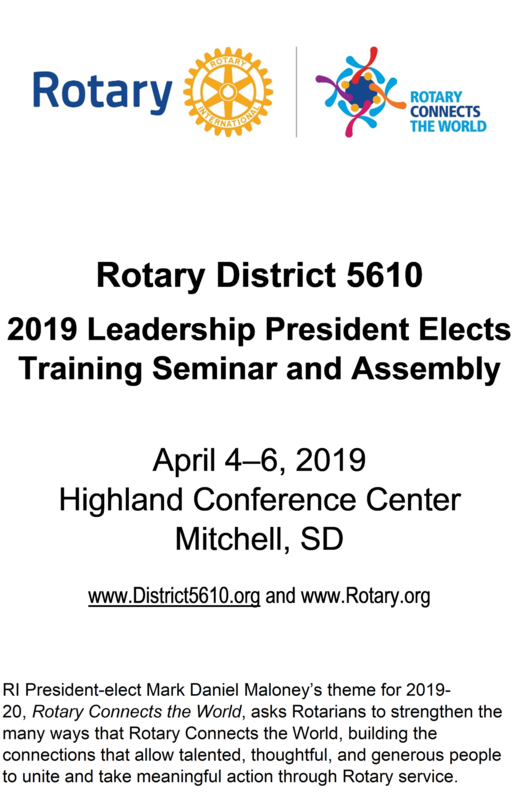 A vote on approval/disapproval will be taken at the 2019 Leadership and Presidents Elect Training Seminar and Assembly which will be held in Mitchell on April 5 and 6. The vote will be taken at the District Assembly on Saturday morning, April 6. Please review the bylaws and be prepared to have your club representative(s) vote on April 6. 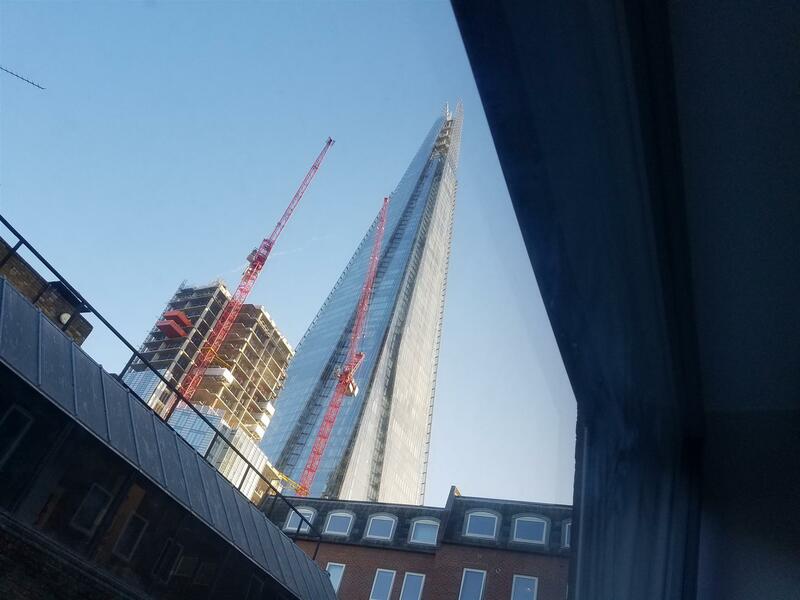 I write to you with an update of my time in London here right as dissertation season begins in earnest. Our false Spring has ended, and the cold grey skies bring the constant threat of rain. But such is life in London! My studies are going very well. 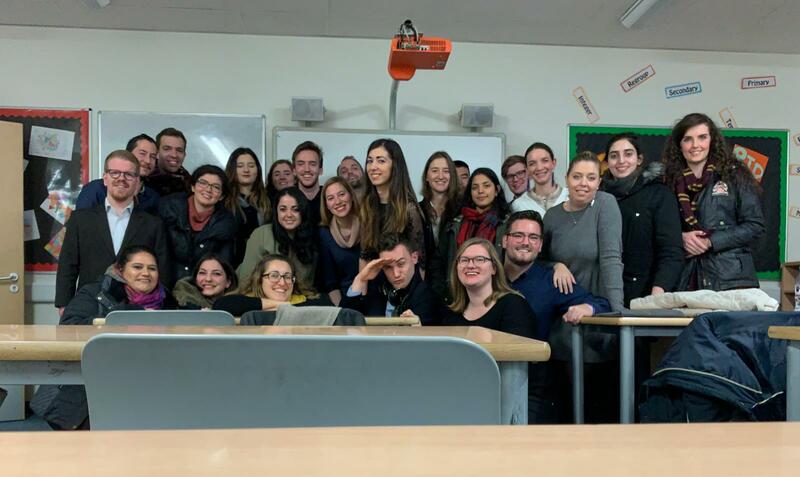 This term, I am taking Applied Peace and Justice, Philosophical Foundations of International Law, and my core module that focuses on helping us produce our dissertation. I am taking part in a War Crimes Research group as part of my Peace and Justice Course. Within that, I am researching post-conflict reparations and reconstructions efforts. We recently heard from the Human Security Chief Mehrnaz Mostafavi on the work her organization is doing, and strategies that can be employed to help address the issues of human securities in conflict prevention measures. Outside of courses, I have been quite busy as well! 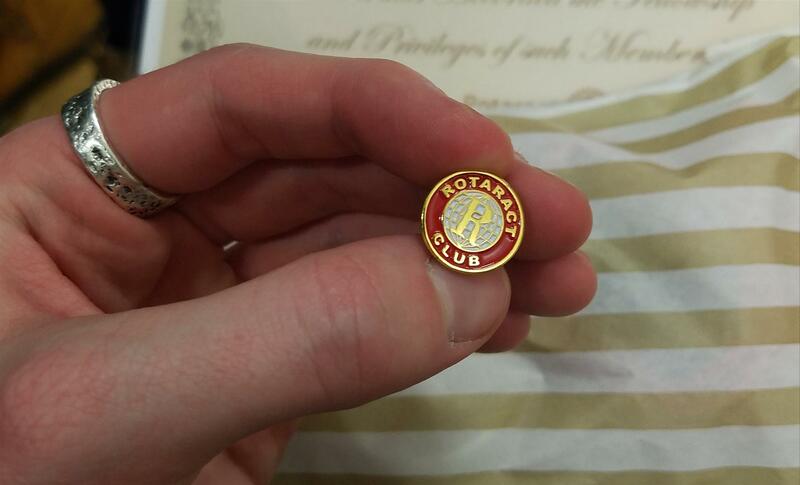 I joined Rotaract Westminster as a full member and have regularly been attending their meetings. 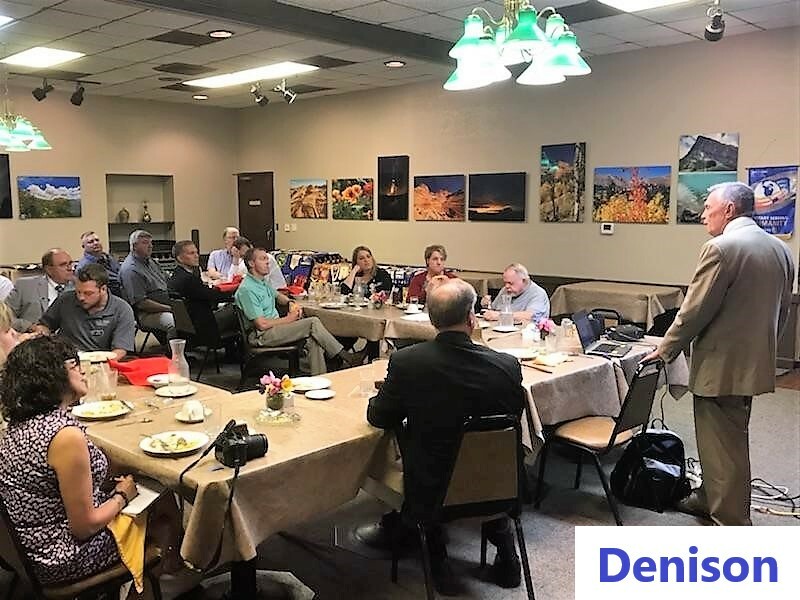 Last week, I spoke to the club about my studies and time in South Dakota, focusing on my concepts of home and belonging and how that influenced my desire to study migration policies. In addition, I spoke on the Rotary Scholarship that made my studying here in London possible. 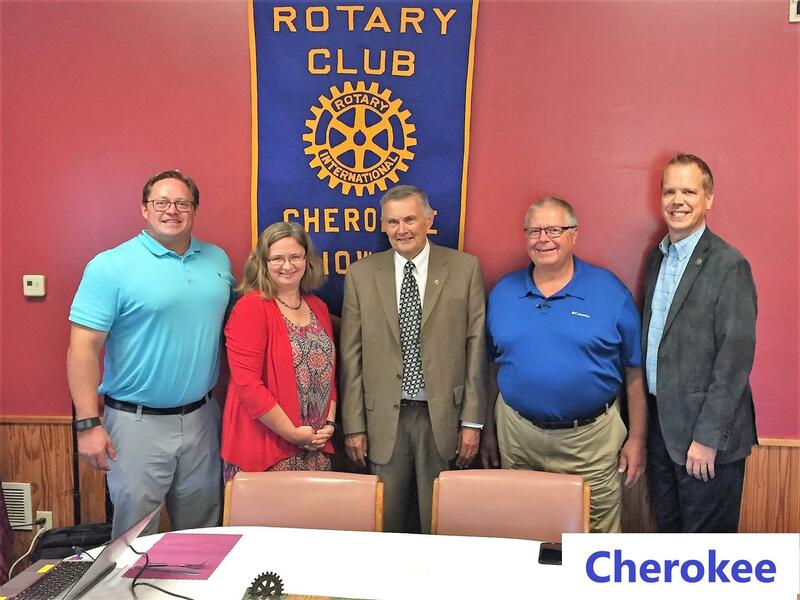 Another Rotary Scholar (and good friend of mine) from Tennessee spoke alongside me, giving her own story, study focus, and experiences with the same scholarship. Food remains the most accessible source of adventure. Along with a friend, we try to see at least one museum, play, musical concert, speaker, or art show a week. 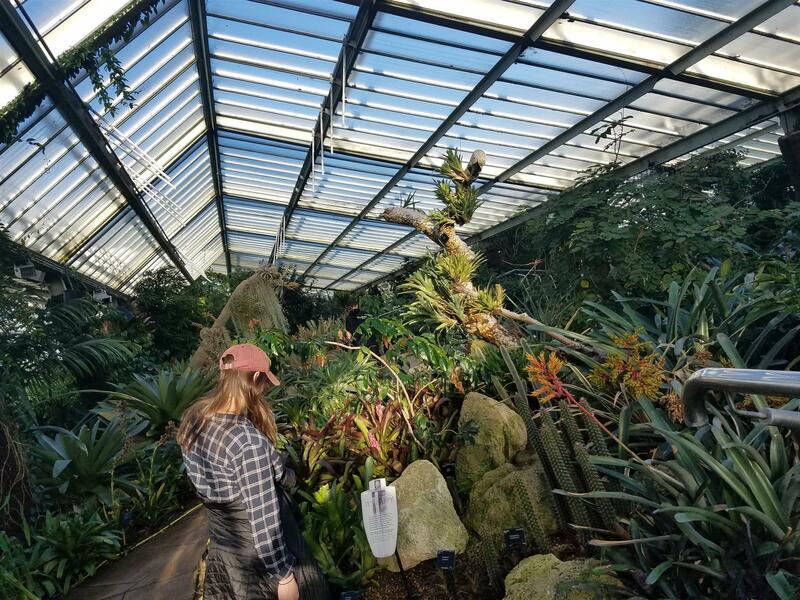 We have visited the Royal Botanical Gardens at Kew, seen Agatha Christie's The Mousetrap, and eaten probably a few too many Full English Breakfasts, among many other things. I'll keep in touch more as the Spring carries on in to Summer. Thank you very much for your support, and I hope all is going on well back home in South Dakota. It's that time of year again when we think about the District 5610 Four Way Test Essay Contest. This is a great way to spread our Rotary ideals into our communities. The contest involves 6th graders and they are asked to write a 200 to 500 word essay on "How can I apply the Rotary 4 Way Test to my life?" You will be amazed and excited at the perspective 6th graders have on our 4 Way Test. You need to find a 6th grade teacher or group of teachers who are willing to participate in this great project. Provide the teacher with the attached forms describing the contest, it's history and requirements. Participant Entry Form, Participant Guideline, 4-Way Test History, Judging Guidelines, and Judge's Score Sheet. When the essays have been written the teachers can narrow down the group and submit their top ten or they can submit all of the essays that they collect to your club. You need judges to determine the top essays and your club can reward a 1st, 2nd and 3rd prize if you so choose. Then by the deadline of March 15, 2019 you need to submit your winning essay to the district where it will be judged with all of the other club winners. The District 5610 winners will be announced at PETS in April of 2019. The first place winner will receive a $500 check, a certificate, a Four Way Test coin and the chance to read their essay at the District Conference in Hot Springs. Second place receives a $300 check, a certificate and a Four Way Test coin while third place receives a $200 check, a certificate and a Four Way Test coin. 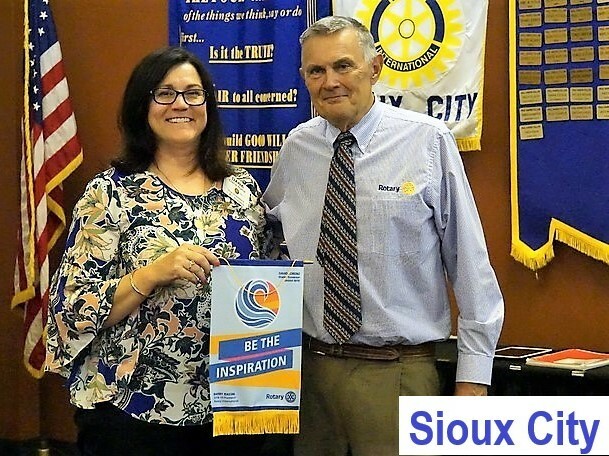 We are hoping that many of the District 5610 clubs will participate in this terrific project where we teach young people about what Rotary stands for. For questions or more information contact Pat Sutliff. 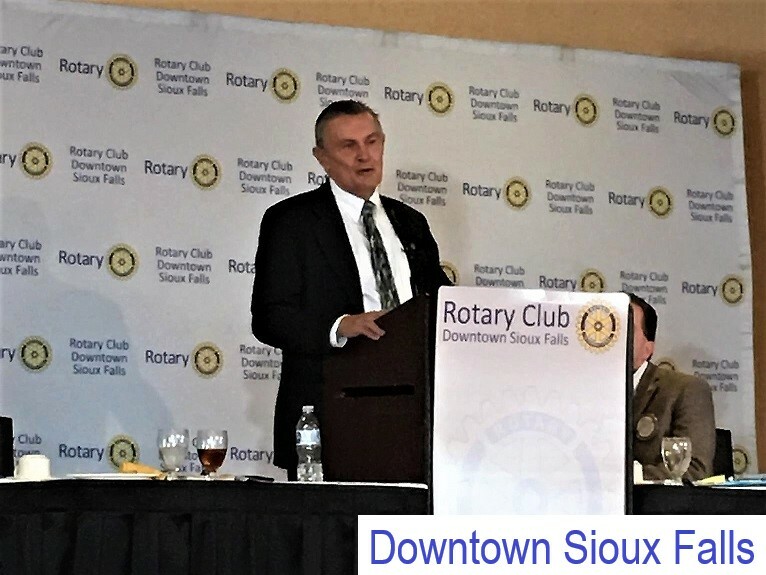 Below is a video clip from an episode of "Rotary Cares" broadcasted by Brattleboro Community Television, in which Tristam Johnson, international projects committee chair for the Brattleboro Sunrise Rotary, outlines the global partnership being formed for a project on the Pine Ridge Reservation. District 5610 and our District clubs can play a critical role in this global grant project taking place in our District. To learn more about the project, click on the website link for WHITECLAY MAKERSPACE or for an Omaha World - Herald news article. District 5610 did an outstanding job of recognizing the Foundation month this past November. During the District Governor’s Foundation Challenge, clubs and individuals contributed over $23,401 just slightly ahead (3.7%) of our previous year’s giving. We had a number of our District’s Rotary clubs and Rotarians make gifts to the Foundation during the challenge. The results are reported here and recognition will be provided at the District PETS conference in April. 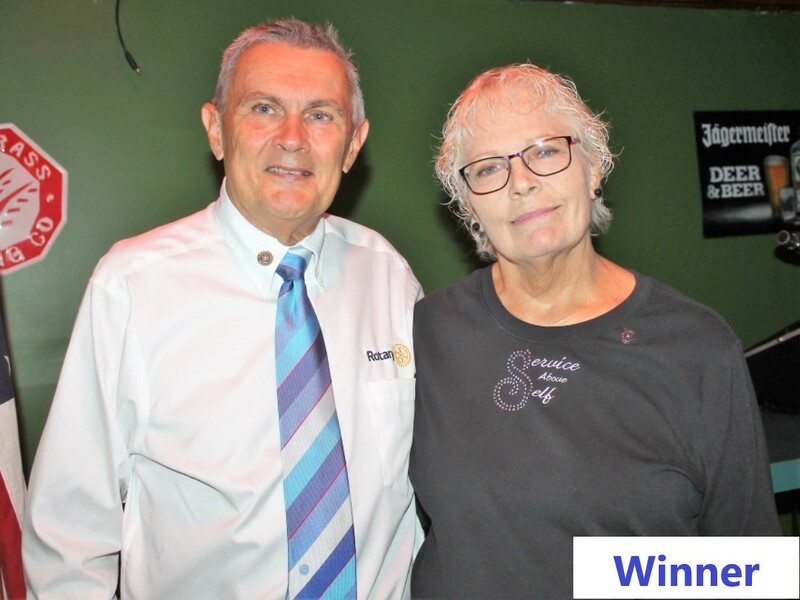 We had a number of individual gifts of $1,000 by Rotarians and by decision of the District Governor and the Foundation Chair, we decided to award the Paul Harris Points to the two Rotarians who gave the largest gifts during this period. 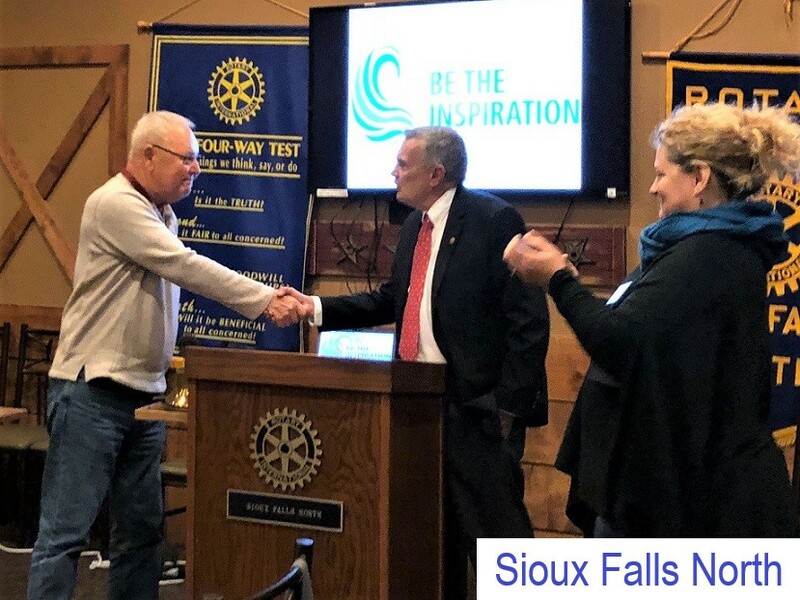 Great job by all Rotarians and thanks for your support of the Rotary Foundation and all the wonderful things that the Rotary Foundation is doing. This may be a great time to look and see what your Foundation is doing around the world at https://www.rotary.org/en/about-rotary/rotary-foundation. Club and District leaders are invited to Mitchell April 4-6, 2019. Mandatory training for Club Presidents Elects will be offered as well as sessions for other club and district officers. PETS will kick off with an informal dinner for early arrivers on the evening of April 4th. The morning of April 5th will began with a leadership meeting and training for District Officers and Assistant Governors. A detailed agenda will be circulated later. Be sure to block out these dates on your calendars. 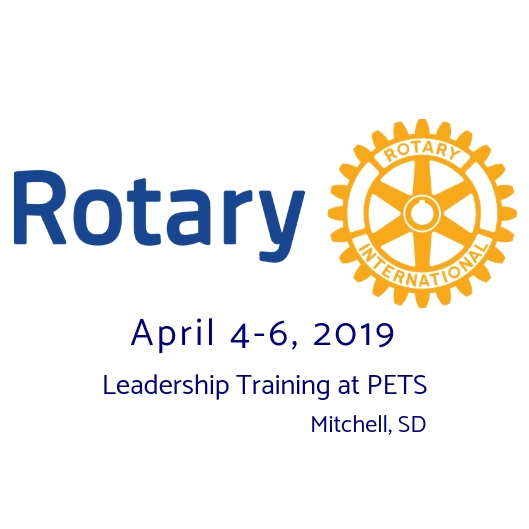 I am looking forward to the 2019-2020 Rotary Year in District 5610 and PETS will kick it off. Let's do this! Greetings, I hope this holiday season finds you and your family well. We are seeking candidates for our next District Governor-Nominee. 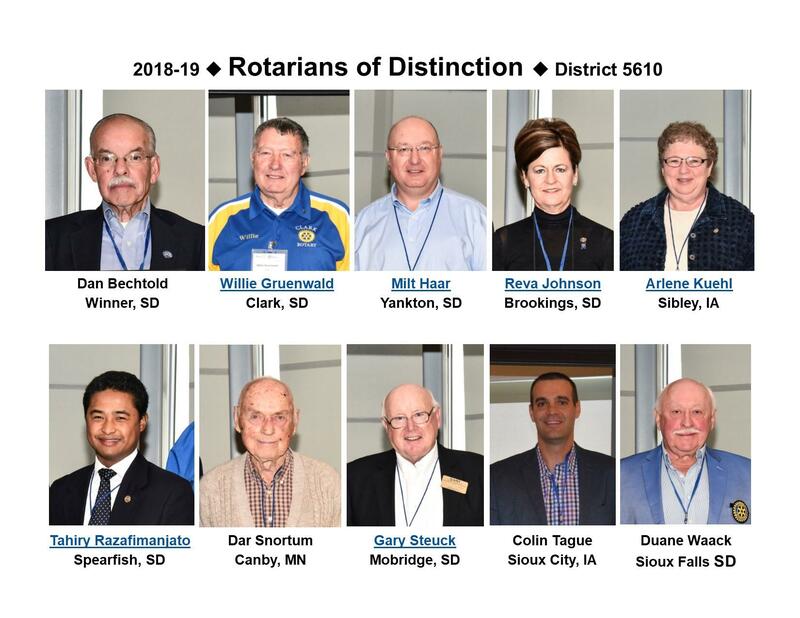 If you have an interest in serving as Rotary Governor for district 5610 in the 2021-22 Rotary year, we would like you to submit the attached application. The district governor process is a three-year journey. The first year is a slower-paced training year as District Governor Nominee, DGN. The second year Rotary activity ramps up as District Governor-Elect, DGE. Your third year is a very busy period as the District Governor responsibilities kick-in. It becomes very much a part-time job, and nearly full-time during your club visits period. Although sometimes very demanding, past district governors will tell the experience is very rewarding and life-changing. We will be collecting district governor-nominee applications until March 1, 2019. Please consider serving our district 5610 as governor during the 2021-2022 Rotary year (7/1/2021-6/30/22). To apply, simply complete the attached DG application form and return to your local Rotary club president for submission approval. Your club president will forward the applications to DG Dave Lorenz or myself. All applications will be reviewed by a selection committee during the month of March 2019, and the next DGN will be announced at PETS in April 2019. 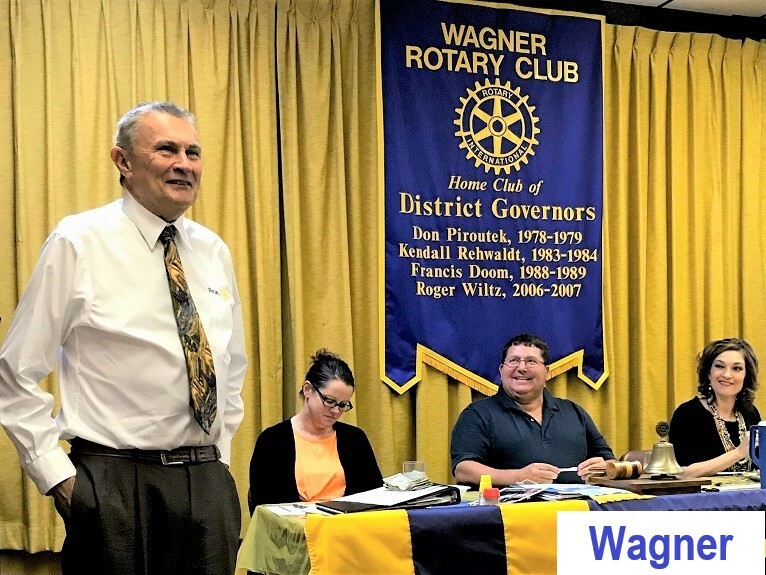 Please contact me, DG David Lorenz, or any other past district governor (PDG) with questions about the duties, requirements, or experience of being a Rotary district governor. 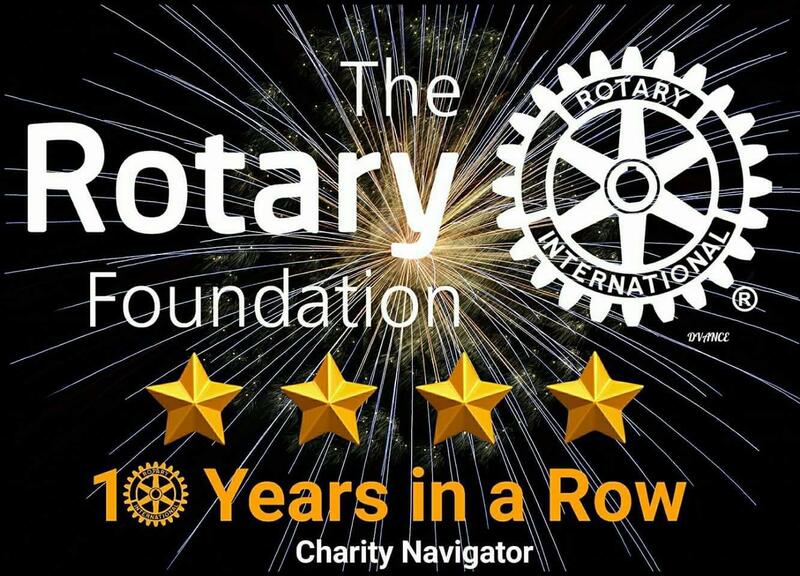 Thank you for being a Rotarian! Season blessings to you and your family. 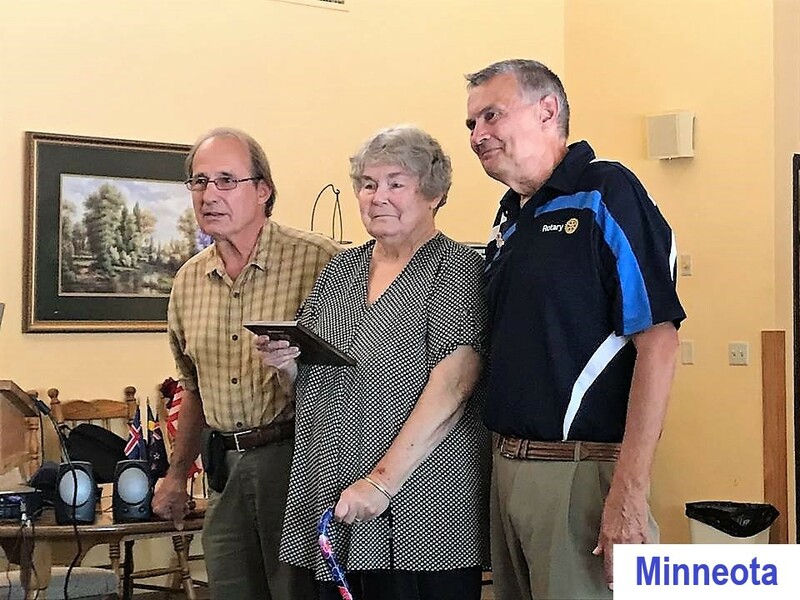 The Le Mars Club is celebrating its 100th Anniversary this year! 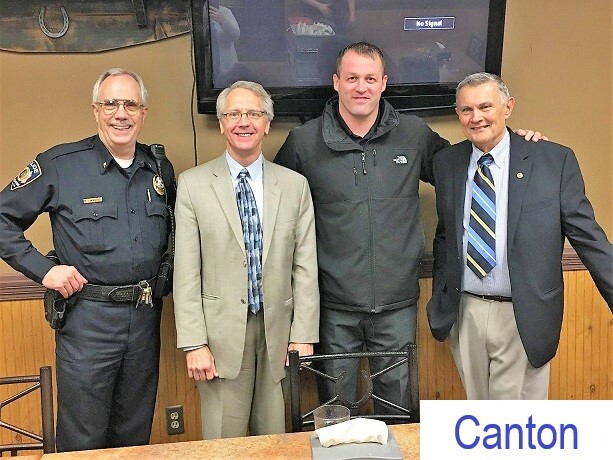 Our main event will be a banquet on Tuesday evening, April 9th, 2019 at the Le Mars Willow Creek Clubhouse. Our keynote speaker will be Gregg Podd, past Rotary International Director. 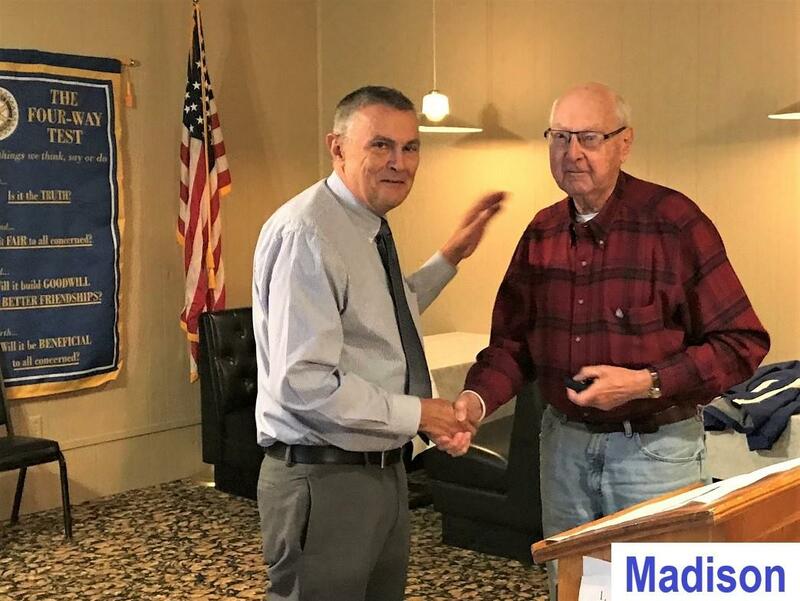 In addition to our local members, we hope to invite all past presidents, former members who live in the neighborhood to attend and all District 5610 Rotarians. In honor of our centennial, we already have donated a bicycle to Josh’s Ride in Le Mars which was provided to a child in the Le Mars community. This was partially funded by a District Grant. We also purchased a banner which we displayed at Pioneer Village at the Plymouth County Fairgrounds. We also, had a goal of collecting 100 pairs of gloves and mittens to be displayed on our Christmas tree at the village to be given to children in the area. Our goal was exceeded by collecting over 250 items! Our club will have a display at the Plymouth County Museum and will host the Le Mars Area Chamber of Commerce Coffee there on June 5th, one day before the actual anniversary date. We are planning to have a service project of making improvements at O’Toole Park in Le Mars. The park was named after long time Rotarian and local doctor, Larry O’Toole. We plan to plant additional trees and help with the translocation of the skate board park to that location. 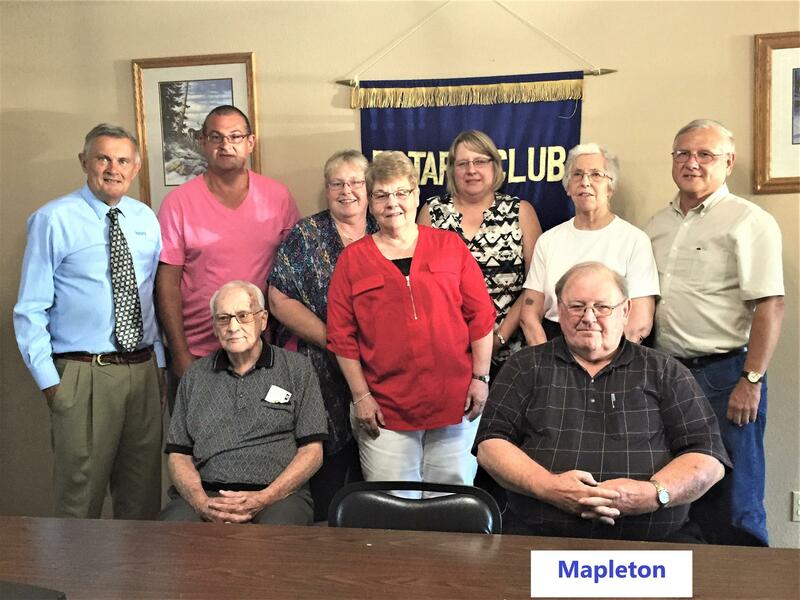 Rotarian Loretta Meyers has taken on the daunting task of updating our history book. Coincidentally, the City of Le Mars is celebrating its Sesquicentennial this year, also. Donovan (DJ) Fravel, a recent graduate of Augustana in the fields of government and politics, is our current Peace Scholar studying Peace and Conflict Prevention/Resolution for a Master’s Degree at King’s College in London. 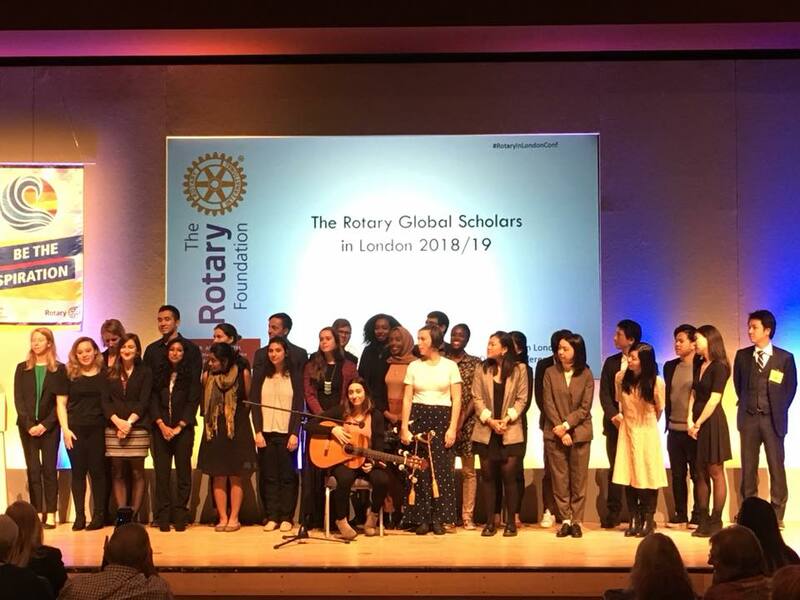 He is sponsored by the Enfield Chase Rotary Club in northern London, and as you see from the photos, District 1130 is sponsoring over 24 Peace Scholars from all over the world. He received a warm welcome from the club, and has already participated in Club projects events as you can see in the photos. The 2019 Rotary Peace Fellowship application is now available! Share this video explaining the application process. Share the application page where candidates find information on the fellowship and helpful application tips. Send personalized emails with the fellowship announcement to contacts within your network. Facilitate an introduction with the Rotary Peace Centers staff (rotarypeacecenters@rotary.org) and we will be happy to follow-up! 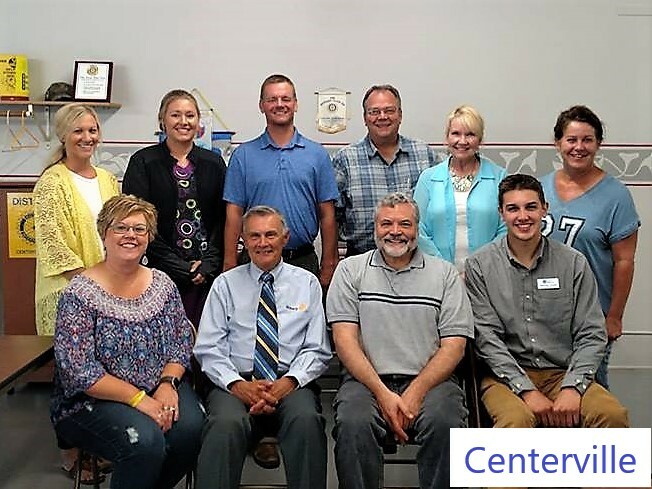 Follow us on the Rotary Peace Centers Facebook page and share fellowship updates. Present on the Rotary Peace Fellowship at an organization you are connected with. A PowerPoint presentation is available online. We appreciate your assistance in identifying interested and qualified applicants! District 5610 and our Youth Exchange officers have been welcoming two inbound students – Eloise Longhi from Belgium (Rapid City Rushmore) and Borja Gallo Ansa from Spain (Madison) – as well as preparing for a new group of outbound students from our district. District 5610 currently has two students who have applied to be outbound students, while several clubs have expressed an interest to host students even if they cannot send a student outbound. 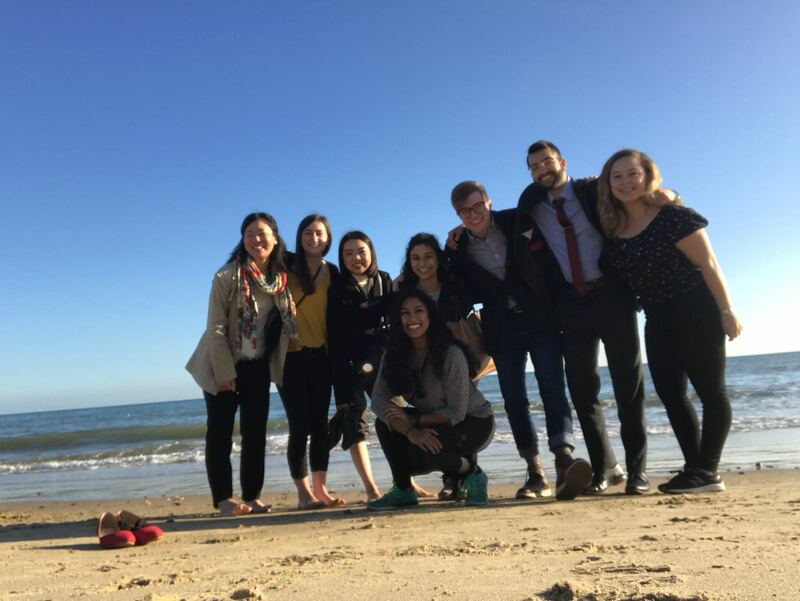 If you have a student interested in Rotary Youth Exchange, please have them contact Patrick.Morrison@usd.edu as soon as possible due to the short time remaining in the application process. 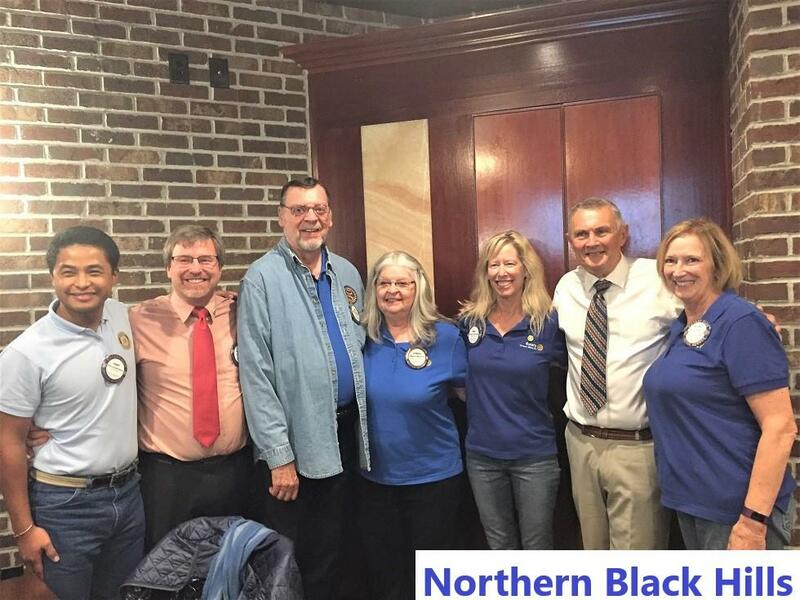 Lastly, please contact Patrick if your club is interested in hosting an exchange student for the 2019-2020 Rotary year. 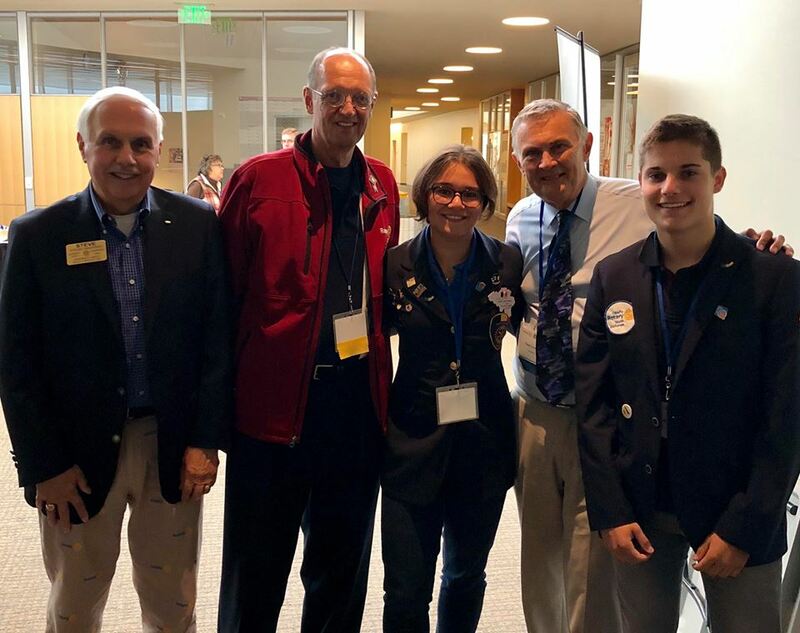 Pictured in photo: Past District Governor and District Treasurer Steven Sikorski, Past District Governor Ed Jacobson and District Governor David Lorenz welcome District 5610 Rotary Youth Exchange Students from Belgium and Spain. As members of a service organization, all Rotarians contribute to the betterment of their communities and practice the organization’s motto of “service above self”. 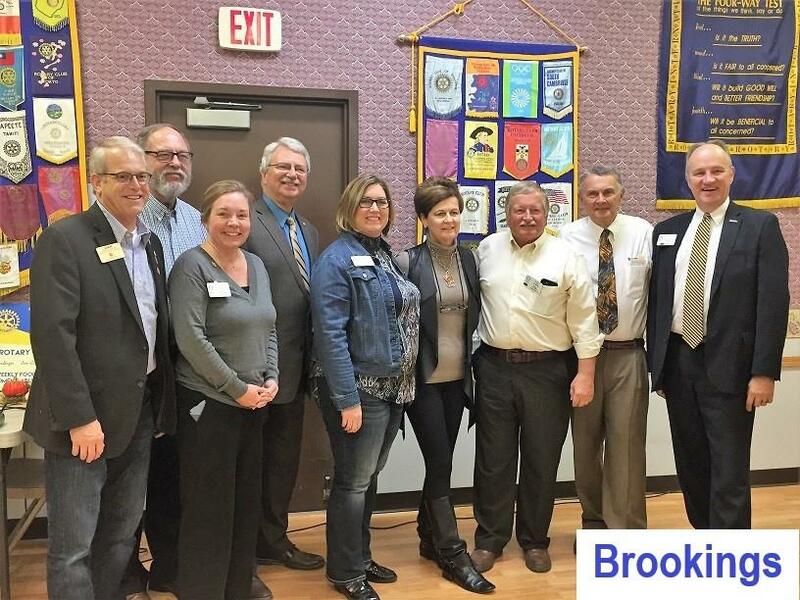 However, each of these Rotarian’s contributions were at such a high level that they were recognized by the leadership of the District. 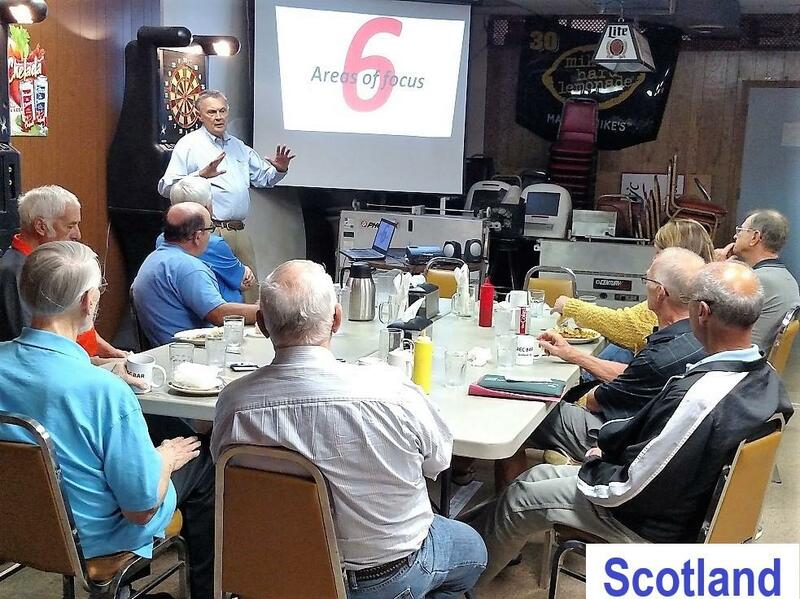 Rotary District 5610 includes 28 Rotary clubs from around South Dakota as well as 13 clubs in southwest Minnesota, northwest Iowa and northeast Nebraska. These 41 clubs are involved in many local and international service activities. 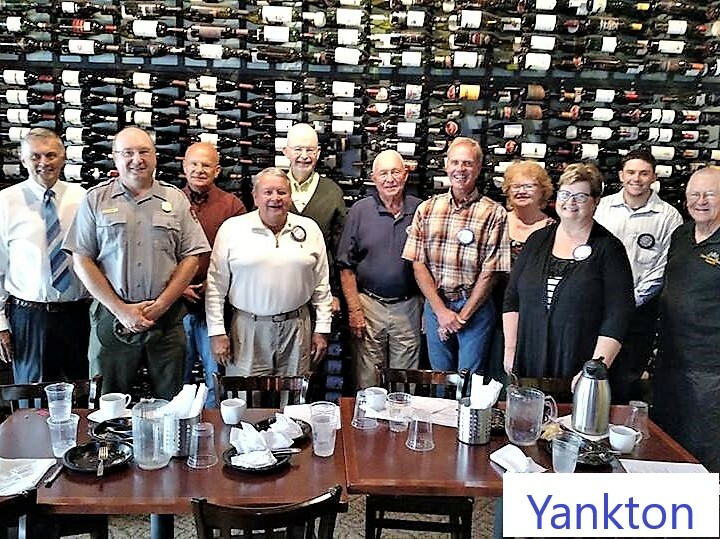 Visit the District website Rotary5610.org for information about when the clubs meet in our district. 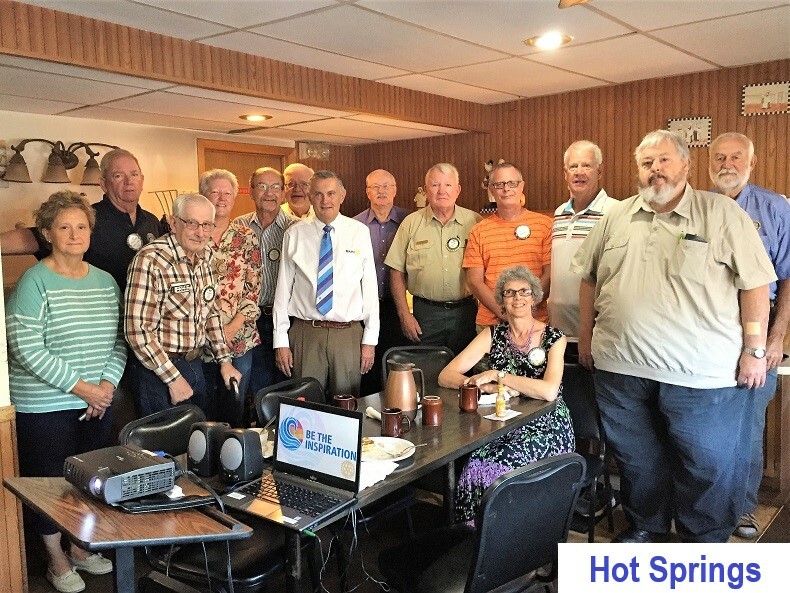 Visitors are welcome at club meetings, and local Rotary clubs are always interested in learning more about ideas for service projects to help the community. Rotary brings together a global network of volunteer leaders dedicated to tackling the world’s most pressing humanitarian challenges. 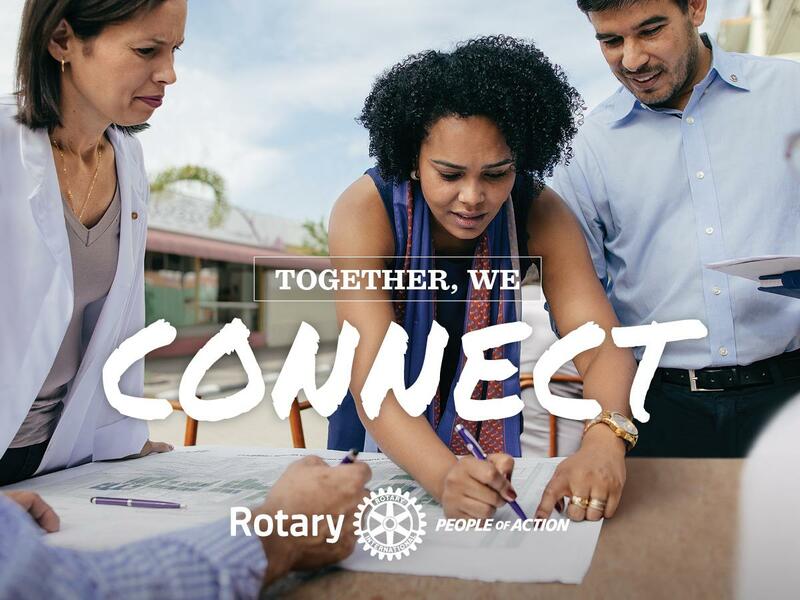 Rotary connects 1.2 million members of more than 35,000 Rotary clubs in over 200 countries and geographical areas. 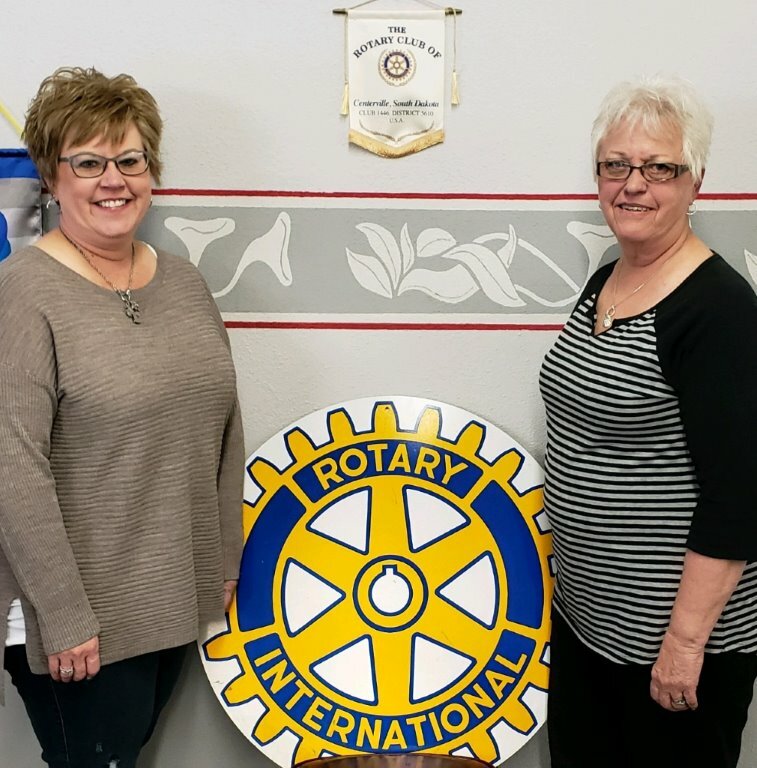 Their work improves lives at both the local and international levels, from helping families in need in their own communities to working toward a polio-free world. For more information, visit Rotary.org. 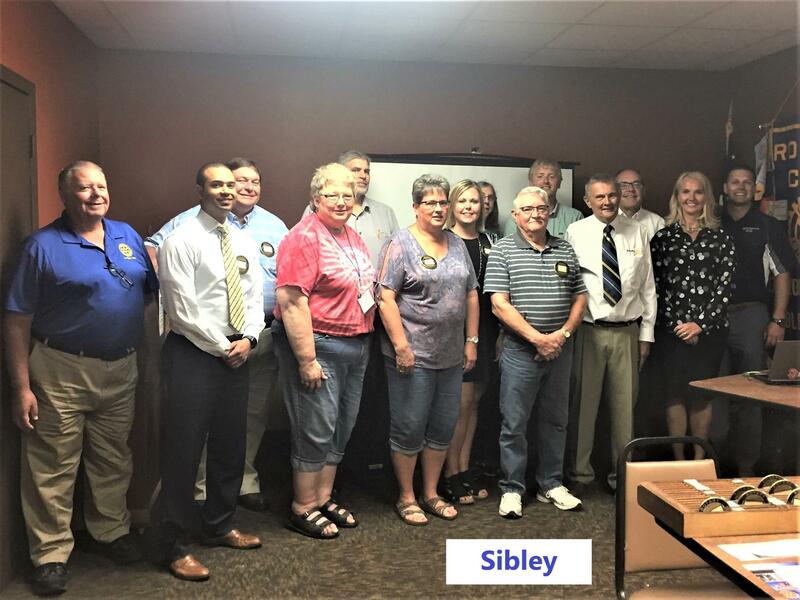 Congratulations to Centerville, Cherokee, Marshall Sunrise, Watertown, Brookings, Gregory, Canby, Rapid City Rushmore, Aberdeen and Luverne who ended the Rotary year with an increase in members. Here are some great resources. Each club has received the Club Membership Guide to help you develop a club membership plan. New member orientation template available. As we enter Foundation Month, we would like to thank each and every one of you who did so much to make World Polio Day such an enormous success. We welcomed Rotarians, Rotary staff members, Rotaractors, and guests to our livestream viewing and virtual reality event here at Rotary headquarters in Evanston. It was an amazing experience—not only sharing our excitement and enthusiasm for polio eradication with so many strong supporters, but knowing that our event was just one of the 3,300 registered World Polio Day events taking place around the world on that day. Everyone helped raise awareness of our work; everyone brought eradication that much closer. If your club is thinking about taking on a more ambitious project, remember that Rotary Action Groups (RAGs) are great resources. 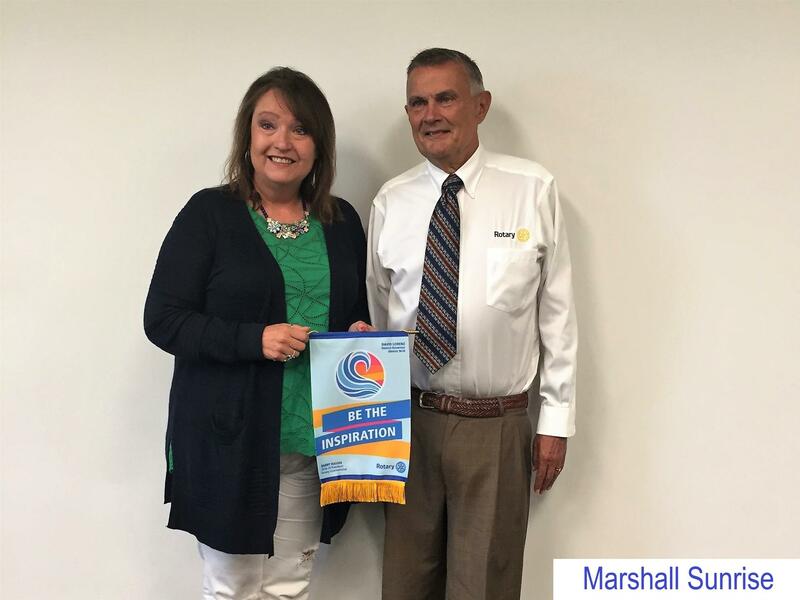 RAGs are international groups of Rotarians, family members, program participants, and alumni who are experts in a particular field, such as microcredit, peace, family health, disasters, or water. In addition to contributing technical expertise, RAGs can also assist clubs with global grant projects by helping prepare grant applications, conduct community assessments, identify partners, raise funds, and establish monitoring and evaluation plans. Some of the largest RAGs serve as leaders in Rotary’s areas of focus and help clubs take on large-scale global grant projects: RAG for Population and Development,Water and Sanitation RAG, RAG for Family Health and AIDs Prevention,Microfinance and Community Development RAG, and RAG for Peace. Connect directly with a RAG for assistance with a project, district, or global grant, at any stage of planning. You can end Foundation Month on a charitable note by participating in Giving Tuesday, 27 November. Rotary will be joining thousands of other organizations worldwide for a global day of giving. Our new online giving platform has made it easier than ever to give to the Foundation, and you can easily notify someone of a gift made in their honor via email or by printing and delivering a customized notification yourself. We usually refer to The Rotary Foundation as Our Foundation. Unlike most charities, our Foundation is truly Our Foundation, because it is both supported by the Rotary family, and supports the work we do. This year, our Foundation has already approved 222 district grants, with $31.9 million USD in total funding, and 41 global grants, with $11.9 million in total funding. Our ambitious goals to grow our endowment and our annual giving set the stage for a larger, more effective, more sustainable Rotary—that will Be the Inspiration for generations to come. 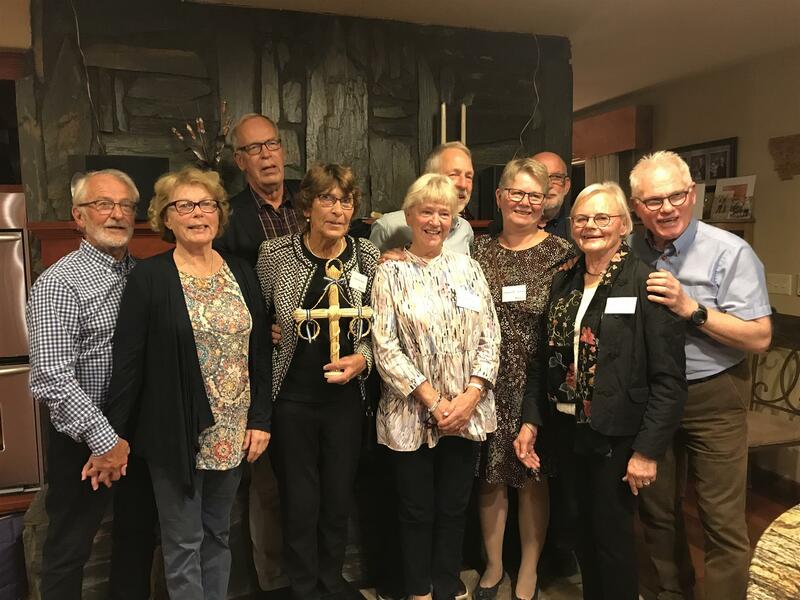 In June of 2018, we sent a team of twelve Rotarians and spouses from District 5610 to the Swedish Rotary District 2340 for two weeks. They were in Sweden for Midsommer which is one of the biggest celebrations of the year for Swedes. As you can imagine they had a fabulous and interesting time. 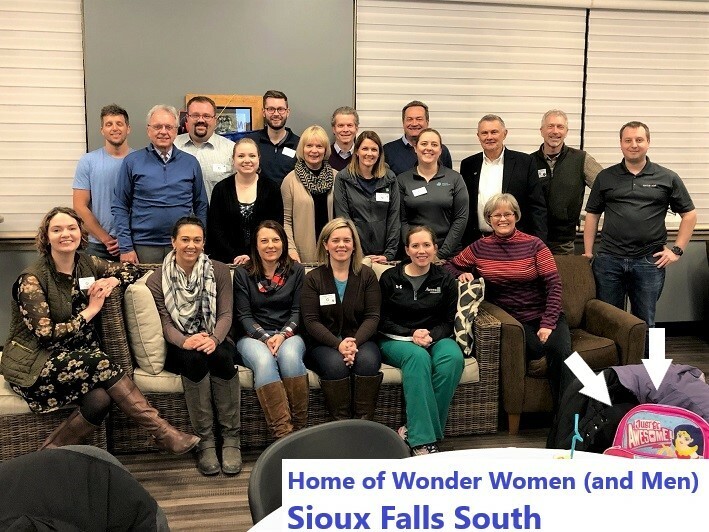 So they were very excited to welcome a team of ten Swedes to our district in September of 2018, and to be able to show them District 5610 hospitality. The Swedish team was hosted in Rapid City, Pierre, Winner, Madison, Brookings, and Sioux Falls, all towns who sent delegates to Sweden. They had many American experiences from viewing Mt. Rushmore, eating Indian tacos, barbequing, boating and seeing a football game. What a wonderful way to celebrate Rotary and make international friendships. Welcome to our District 5610 website! We are PEOPLE OF ACTION! This website is for the use of the membership of District 5610 clubs, district leadership and the public. You can locate club meetings and locations in the left column, and District leaders in Organization. Please browse the information, suggest additions and changes, or ask questions by reaching leaders in "Contact Us." If you login as a member of Rotary, you can access additional club and district management information. 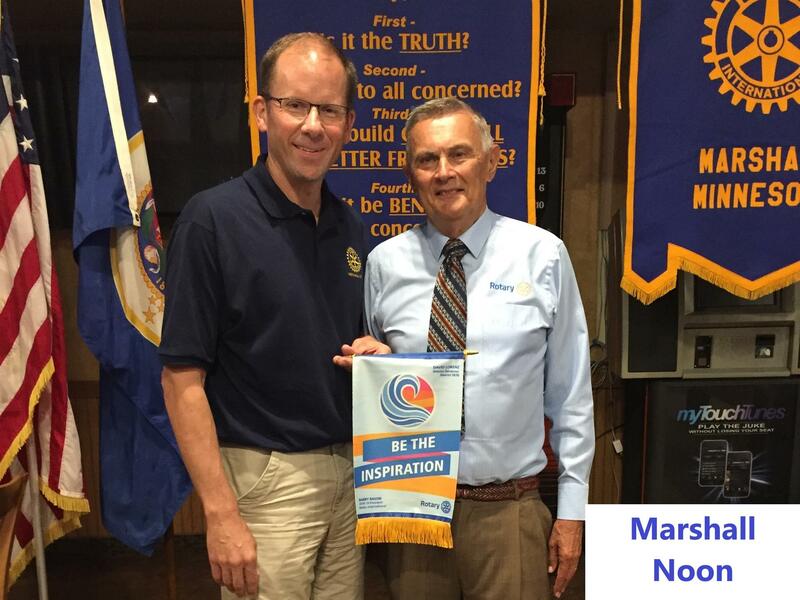 Rotary International is the world's first service club organization, with more than 1.2 million members in over 35,000 clubs worldwide, divided into 535 Districts. 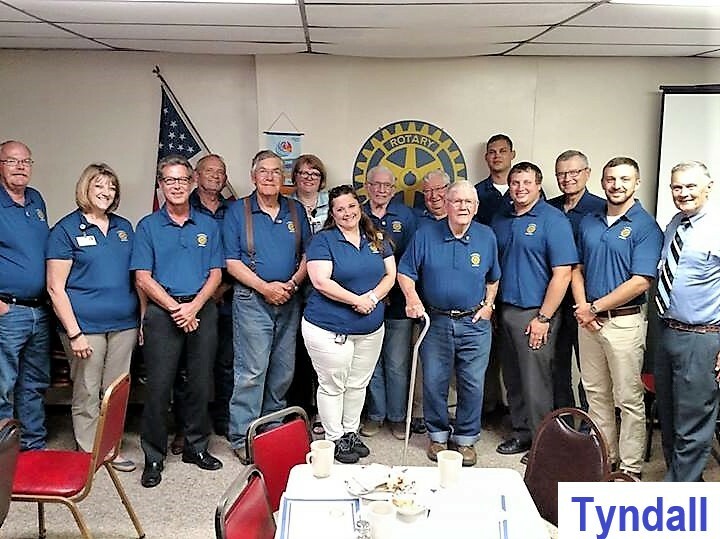 Rotary club members are volunteers who work locally, regionally, and internationally to combat hunger, improve health and sanitation, provide education and job training, promote peace, and eradicate polio under the motto Service Above Self. Kathy was one of several local children to obtain polio. It was a perilous time for the family as the doctor would say things like "if she doesn't die" instead of "when she gets better". Fortunately, she survived the disease with some mild symptoms such as back pain and weakness in the limbs that remain with her to this day. We are very thankful that we are so far removed from polio that we only know the horrors of this disease from hearing stories from people like Kathy. But there are still some remote places that polio remains a reality. This gives us all the more incentive as Rotarians to continue the fight. 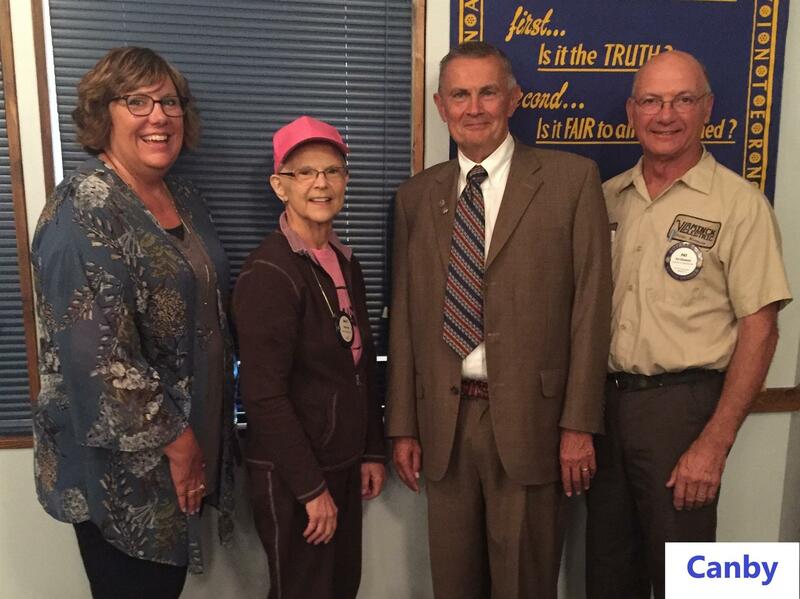 The Centerville Rotary club would like to thank Kathy for sharing her amazing story. What is your club doing to celebrate World Polio Day? 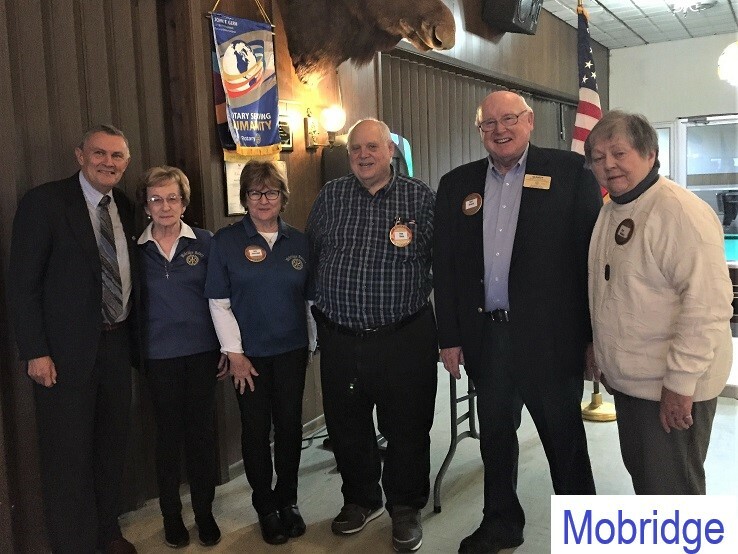 We are so close to eradicating polio from the world that Rotary International and Governor Dave Lorenz want all the clubs in District 5610 to do something special to celebrate World Polio Day on October 24th. This is important so that the citizens of the world know about Rotary's and our partners' efforts to rid the world of polio once and for all. 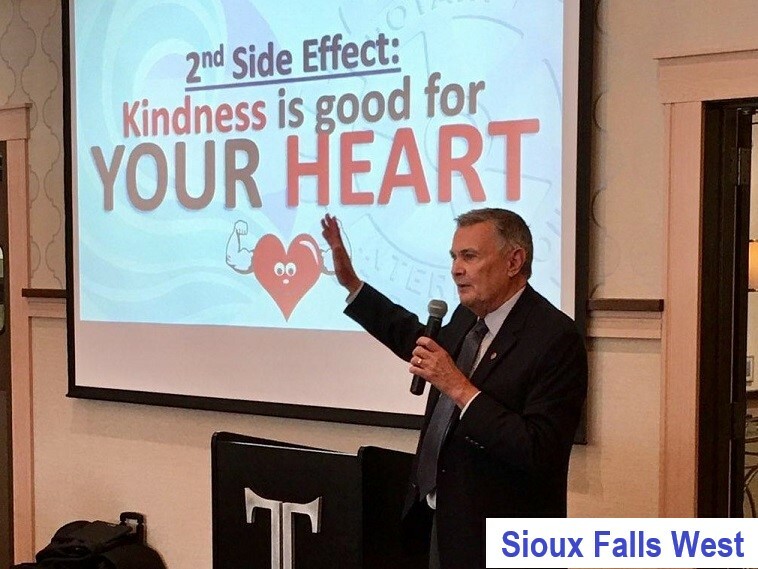 Ron Burton’s, Rotary Foundation Trustee Chair, Ron Burton's letter to Rotarians reminds us of the real impact of the Rotary Foundation and the impact we as Rotarians make with our Contributions to the Foundation. 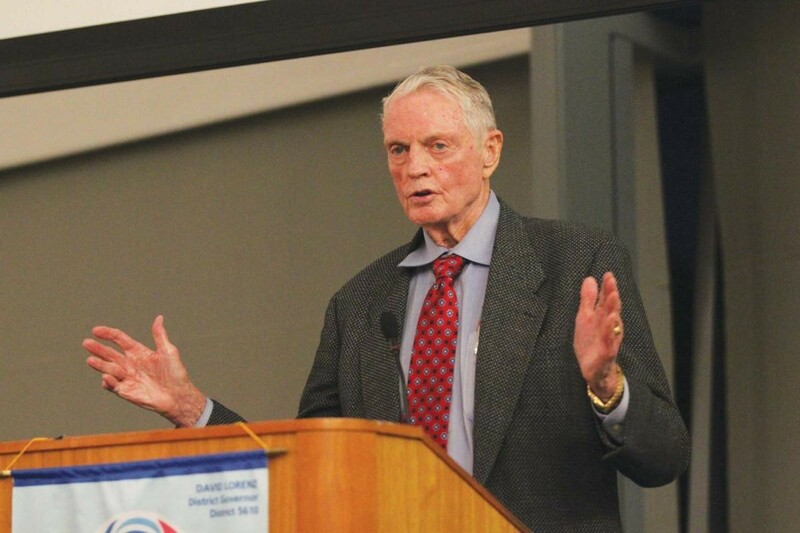 Please take a moment and read or re-read his letter as it reminds us that we are making “REAL” change in our world through the work of the Rotary Foundation. 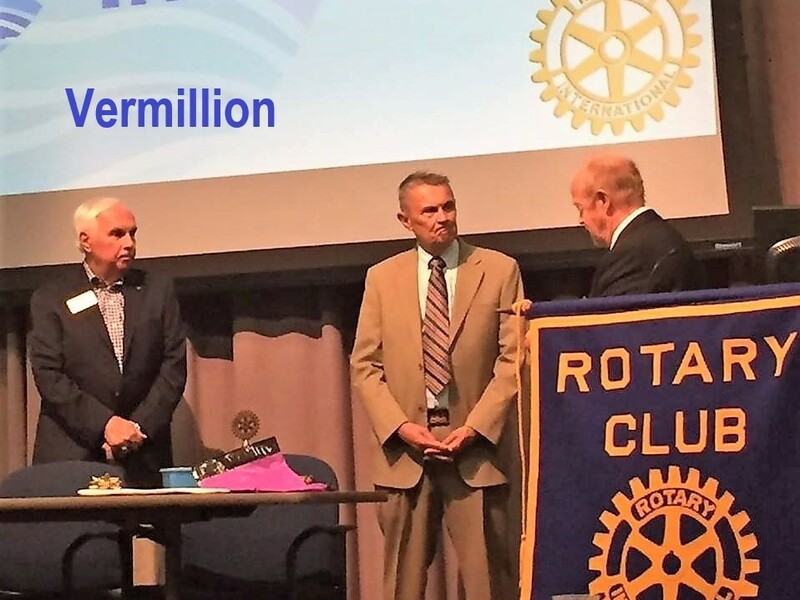 Thanks for your continuing contributions to the Rotary Foundation. The work that Rotary does, with the support of The Rotary Foundation, is not abstract. It is real, and it changes the lives of real people, in ways that are so fundamental that it’s hard to explain. You have to see it for yourself. And when you understand the Foundation’s power to transform, you can’t help but become passionate about it. When I became a district governor in 1987, Rotary’s largest-ever fundraising campaign at that time was underway. We were raising money to fight polio. In those days, poliovirus ran rampant. We had 350,000 cases in more than 125 countries in 1988. Also that year, Rotary and some partners founded the Global Polio Eradication Initiative. As we all got to work fighting polio, real progress began to happen. Thanks to our commitment, since then, cases of polio have been reduced by more than 99.9 percent. We’re witnessing history, and the Foundation is part of that real change. There are countless other ways the Foundation changes real lives — families who enjoy clean water thanks to a global grant, or children who learned to read through a literacy project funded by a district grant. Today in Rotary, we have opportunities to change the world like never before, if we choose to rise to our own potential. The Rotary Foundation is the way Rotary accomplishes amazing things on a global scale. The Foundation is there for us now, and will be there for the talented and dedicated Rotarians of the future. They will look back at our work today, if we do it right, and thank us for leaving them with a legacy to help fix the problems of their time. Giving to the Foundation is the way we make all of these dreams — today’s and tomorrow’s — possible. For me, true philanthropy is not measured by the size of one’s gift but rather by the gift in relation to one’s financial ability. Imagine the impact we could make if each and every Rotarian gave whatever they could today. 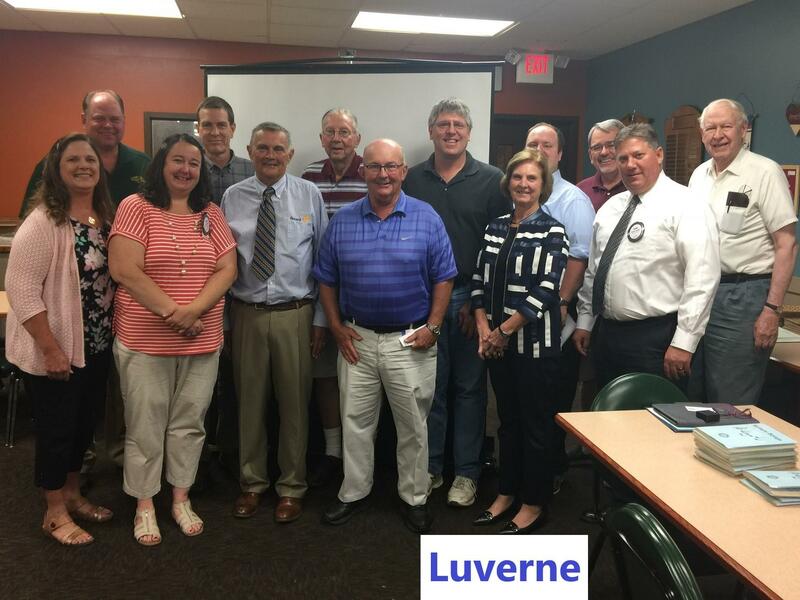 We Rotarians care about service and giving back. We are also careful planners. Donating to The Rotary Foundation is, without a doubt, a wise investment. For 10 years straight, our Foundation has received the highest possible score from the independent evaluator Charity Navigator, for its strong financial health and its commitment to accountability and transparency. 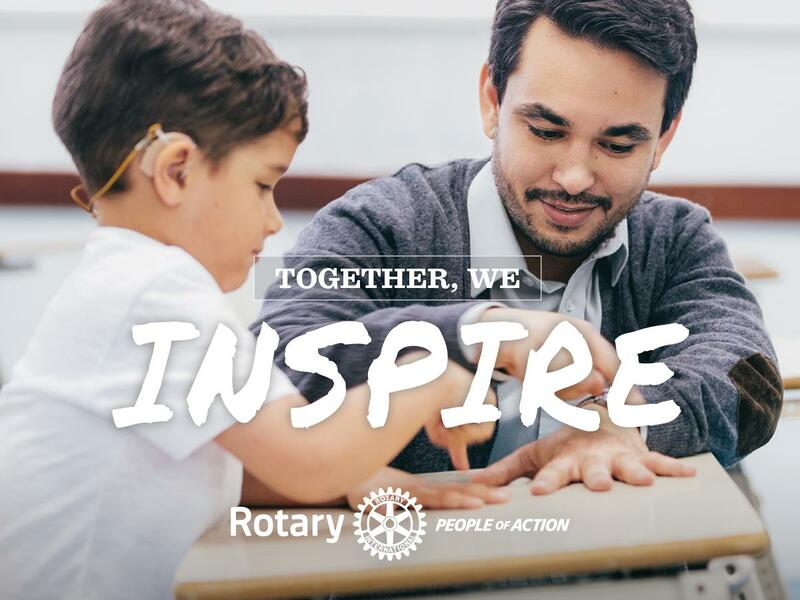 Let’s reaffirm our commitment to tangible change in the world by mobilizing everyone in our clubs and districts to support The Rotary Foundation generously today. Though we may never know who our gift helped, we will be sure that our donation was invested well and the impact of our gifts was real. 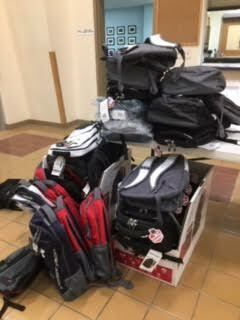 Custer Rotary – I just wanted all of you to see what your generosity bought: thirty six band new bags for our 7-12 students in Custer and Hermosa. Thanks also for the used bags donated, they will be used as well. I took them to the high school today and the teachers we so excited for the donation. They were already thinking of kids that they knew would need a bag and were grateful that someone was thinking about the older kids and their students! 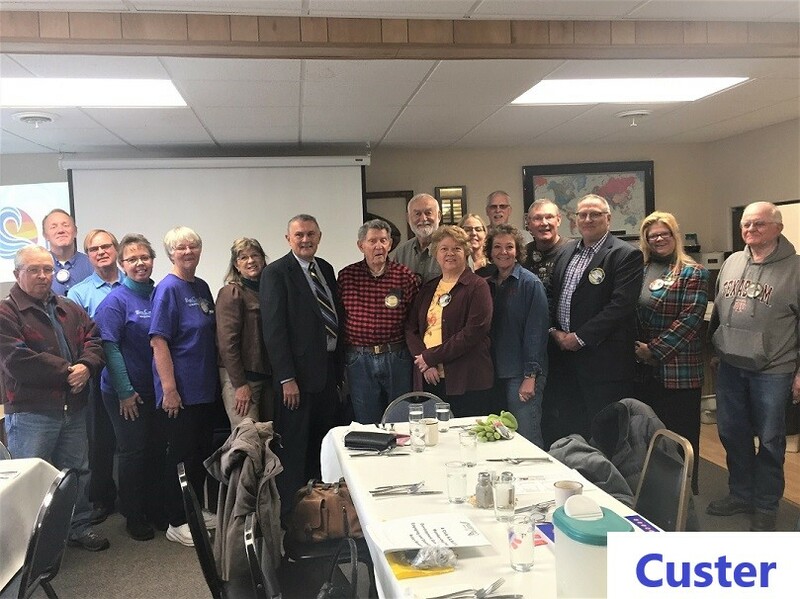 Once again, Custer Rotary has made a difference!